Gottfried Bechtold's piece of Porsche Art reminds me of Jonathan Shipper's masterpiece "Slow and Inevitable Death of American Muscle". 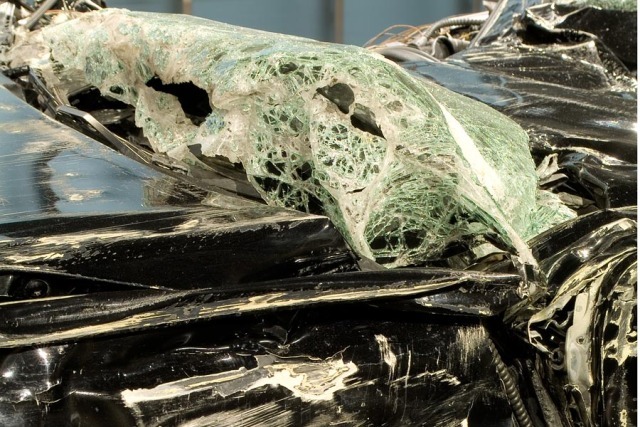 Btw — Jonathan Schipper just crashes a 1987 Chevrolet Camaro vs. a 1976 Plymouth Duster in Wolfsburg at the Kunstmuseum (The Art of Deceleration, 12.11.2011-9.04.2012). Excellent find, Jan! Photo borrowed at kultur-online.net.